Click Bender to make your guess in the comment section. The winner gets our weekly prize: Respect from NTC. Who’ll be the lucky contestant? This entry was posted in Car art, Name That Car. Bookmark the permalink. Made by a label that sadly is no longer with us thanks to years of mis-management by General Motors that would be the Oldsmobile Futuramic. Ding ding ding! 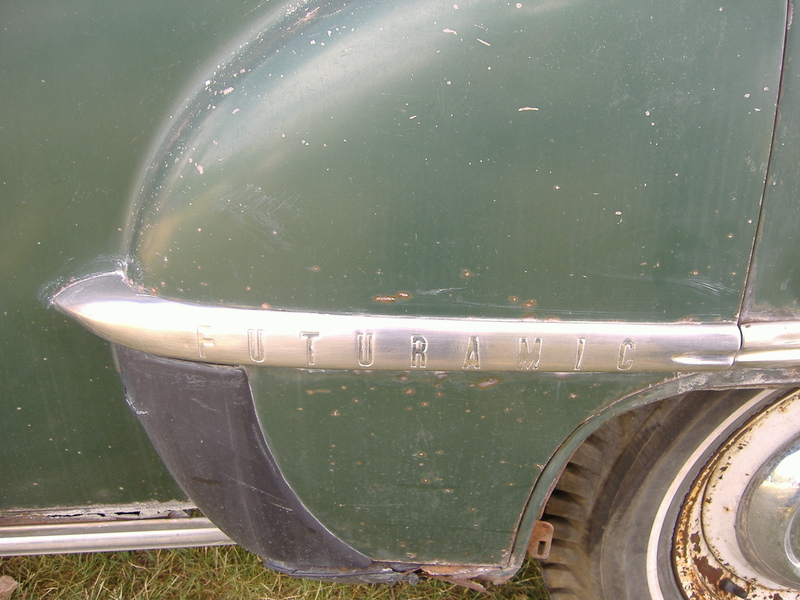 Actually, it’s the Futuramic 88, but you win this week’s prize!